[PDF] Human Anatomy & Physiology Laboratory Manual, Cat Version (11th Edition) | Free eBooks Download - EBOOKEE! 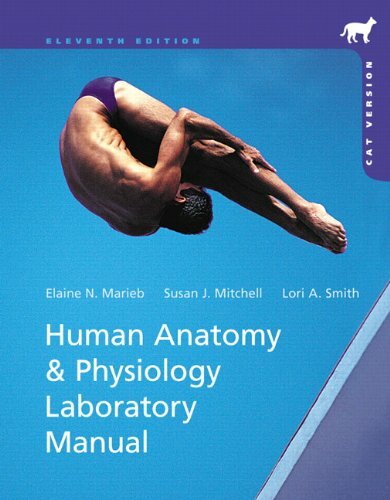 Description: Featuring extensive new instructor support materials for easier quizzing in the lab, this best-selling laboratory manual provides a wide variety of exercises and activities designed to meet the needs of any 2-semester anatomy & physiology laboratory course. Known for its thorough, clearly-written exercises, full-color art, and integrated tear-out review sheets, this lab manual gives students a complete hands-on laboratory and learning experience inside and outside of the lab. The new edition has been fully revised with even more accessible language and more than 50 new and improved cadaver and histology photos. It also features engaging new Group Challenge activities that encourage a more active learning experience in the lab. No comments for "[PDF] Human Anatomy & Physiology Laboratory Manual, Cat Version (11th Edition)".